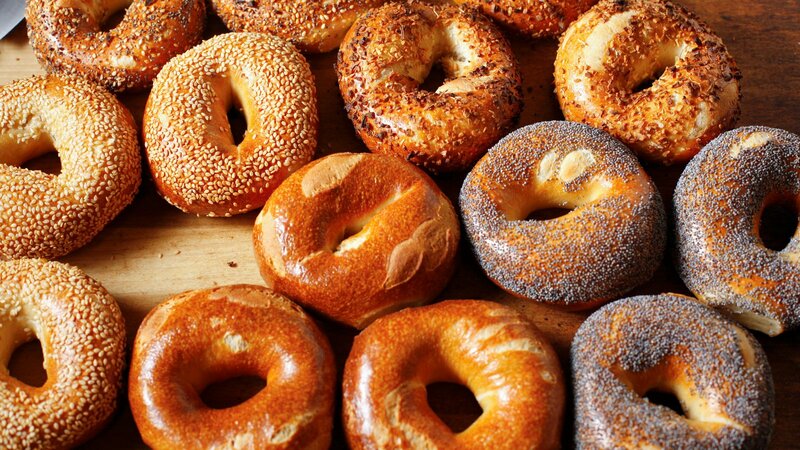 Home > Wellness > #DOACA 51 Sleeps Till Santa: A Bagel ruins the day! I underestimated how hard it is to keep up a DAILY blog, it’s actually harder than keeping up a diet! Last night while coming home from my cheat meal (A souvlaki platter at Arahova) I picked up some fresh mile end bagels for my BF who never eats much in the morning but seems to be able to eat bagels. A bagel and cream cheese always gets his a.m appetite going but he doesn’t like when they are not fresh. This morning however, I was the one to wake up early and HUNGRY and spied the fresh friends on the counter, innocently bundled up in their paper bag. I had to at least smell them. The sweet smell of sugar and egg painted crust, the little almost burn sesames mmm… and how soft they were! I couldn’t resist and what harm would one bagel be anyways… well thanks to Google, 1 bagel I discovered today AFTER eating one is 48 carbs lol, this means if you aim at 50 carbs daily, you have 2 carbs left. I am rarely able to do everyday at 50 carbs but I do manage some days at 50 others at 60 or 70 so it’s a good start. What the F can I do with 2 carbs?! Not much…. I can have greens juice from DOSE I can have a sprinkle of sugar in my coffee I really can’t do anything. Solution? Burn calories today and go for a 75 carb day. I will spend the morning doing one hour of house cleaning and later 1 hour of swimming. If you go over your carbs in a diet the least you can do for your body is try and work some of it off. Knowing that bagels are 48 carbs compared to let’s say country bread at 12 grams each slice, there is no doubt I will be saying goodbye to them until Xmas. They are delicious but the fun lasts 5 minutes and then you need to spend the rest of the day hardly eating any carbs which is tricky. How true is the old age saying, “A moment on the lips, a lifetime on the hips!”.